First of all, we owe all who attended #SiWC18a belated THANK YOU for making it another great conference. We are so touched by the number of people who tell stories on their evaluations of coming in as strangers and being immediately brought in to the fold by repeat attendees who remember what it was like to be new. YOU make SiWC special, and we appreciate it more than you know. Here are a few pics from the weekend. We'll put up more of them on our website in the coming weeks. As ever, the conference will be held at the Sheraton Guildford Vancouver Hotel in Surrey, BC. As of writing this (Friday, 21 Dec), the group rate for this year's conference is up and running with minimal increases over previous years' rates. The hotel sold out last year by early summer, so book your room as early as you can. You can book online via our link or by phone with the hotel or with their central booking. You'll find the hotel details on our website, too. Lots of people have been asking about registration because we sold out so quickly (full packages sold out in 27 hours!) for the 2018 conference. Go ahead and mark your calendars now. 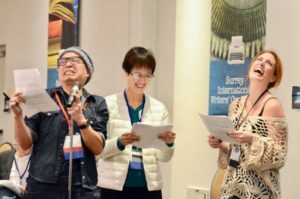 Registration for #SiWC19 will open Wednesday, June 5, at noon Pacific. We're delighted to announce that we are once again offering no increases to our early bird and regular pricing for 2019. We're already working on building a faculty for 2019. We can't reveal our secrets on that front just yet, but I can give you a little hint and tell you that a few of the past presenters you've been begging us (SO many of you have been begging us!) to bring back are BACK. Stay tuned for that news! As many of you know, registration is already open for our 2020 bonus event: SiWC at Sea: workshops, meals, writing time, and vacationing in the Caribbean all mixed up together March 28-April 5, 2020. We are thrilled to announce our faculty for this event, a group we are SO excited to spend a week with, and are sure you will be, too. Instructors will teach workshops, participate in breakouts like a Q&A, and will eat dinner each night with a rotating group of attendees. And who are they? 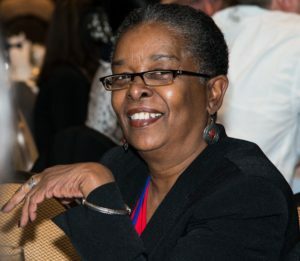 Beverly Jenkins is the recipient of the 2017 Romance Writers of America Nora Roberts Lifetime Achievement Award, as well as the 2016 Romantic Times Reviewers’ Choice Award for historical romance. She has been nominated for the NAACP Image Award in Literature and was featured both in the documentary “Love Between the Covers” and on CBS Sunday Morning. Since the publication of Night Song in 1994, she has been leading the charge for multicultural romance, and has been a constant darling of reviewers, fans, and her peers alike, garnering accolades for her work from the likes of The Wall Street Journal, People Magazine, Salon, and NPR. 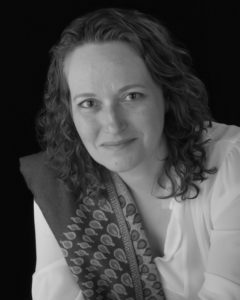 She was also named 2018 Author of the Year by the Michigan Library Association. 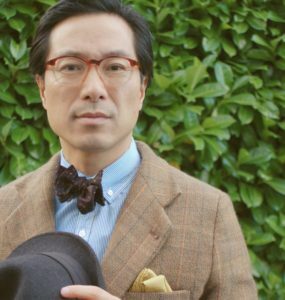 In 2014, JJ Lee hosted the CBC radio show Head to Toe. It is now available in podcast. Before that, he wrote The Measure of a Man: The Story of a Father, a Son, and a Suit, published in hardcover by McClelland & Stewart and in paperback by Emblem Editions. The Measure of a Manwas shortlisted for the 2011 Governor-General’s Literary Award for Non-Fiction, the 2012 Charles Taylor Prize for Non-Fiction, the 2012 BC Book Prizes Hubert Evans Prize for Non-Fiction, and the 2012 Hilary Weston Writers’ Trust Prize. His fashion and personal essays are published in ELLE Canada. His memoir piece, “ELLE First: You are beautiful,” tied for GOLD at the 2011 National Magazine Award for Best Short Feature. This allows JJ to shamelessly append “award-winning” to any mention of his name. Eric Smithis an author, blogger, and literary agent for P.S. Literary. When he isn't seeking out new voices and their writing, he fusses over his own. 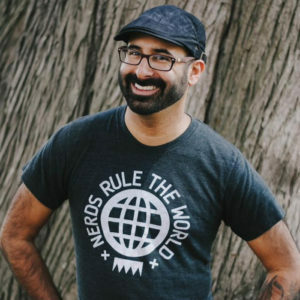 His first humor book,The Geek's Guide to Dating, was published by Quirk Books in 2013, and was an Amazon 2013 Best Book of the Year selection in Humor, as well as a Best of the Year pick by PopSugar and Wired's GeekDad. It was an IndieBound bestseller and has since sold into eight languages. His debut Young Adult novel, Inked, published with Bloomsbury Spark in 2015. The sequel, Branded, was published in 2017. His latest Young Adult book, The Girl and the Grove, was published by Flux in 2018. His next novel, Reclaim the Sun, will be published by Inkyard Press /Harlequin Teen in 2020. He also dabbles in short stories, and his anthology, Welcome Home, was released in September 2017. You can listen to him twice a month on Book Riot's HEY YA podcast, co-hosting with Kelly Jensen. He occasionally blogs for Book Riot, Barnes & Noble's Blog, Publishing Crawl, and Paste Magazine, writing mostly about YA books. All the information and registration options for SiWC at Sea are on our website. 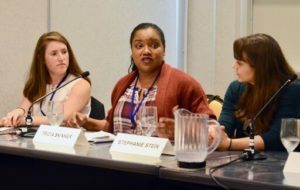 Want to keep up on all the SIWC news? In addition to these occasional newsletters, we are most active on Twitter for between-posts stuff @siwctweets. We're on FB, too, and of course update our own website as plans for the year's conference progress. Happy holidays to one and all. Wishing you a new year filled with words the flow easily onto the page. #thisdaywewrite!